Made from 100% Himalayan salt. Cleanse and deodorise the air Can reduce the symptoms of allergies and ease coughing. 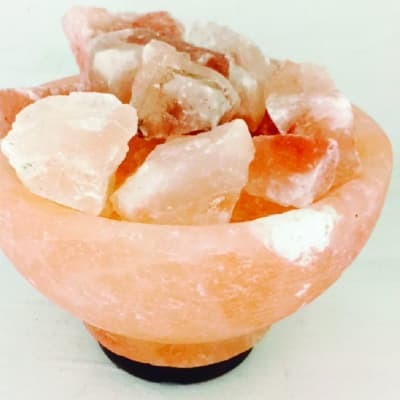 The fire bowl salt lamp contains individual chunks of salt that are placed inside a salt bowl that contains a bulb. It provides an attractive and effective array of light. It looks great in all areas of the home and is made from 100% himalayan salt. Cleanse and deodorise the air Salt lamps purify air through the power of hygroscopy, meaning that they attract water molecules from the surrounding environment then absorb those molecules – as well as any foreign particles they may be carrying – into the salt crystal. This means they can reduce the symptoms of allergies and ease coughing. Cleanse and deodorise the air Reduce the symptoms of allergies and ease coughing. 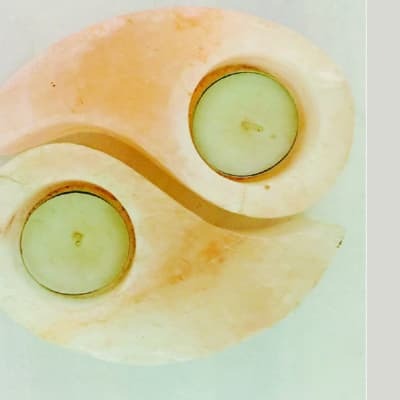 Salt candles purify air through the power of hygroscopy, meaning that they attract water molecules from the surrounding environment then absorb those molecules – as well as any foreign particles they may be carrying – into the salt crystal. This means they can reduce the symptoms of allergies and ease coughing.